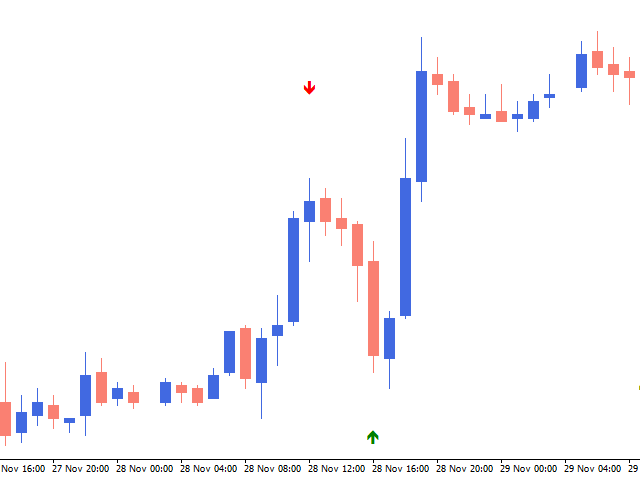 The indicator counts consecutive bull candles and consecutive bear candles. So a setting of 2 means if there are 2 bull candles in a row, it will give a sell arrow, and likewise if there are 2 bear candles in a row it will give a buy arrow. For example, in the settings, you specify 10 candles. After 10 up / down candles, the rollback the price will be very likely! 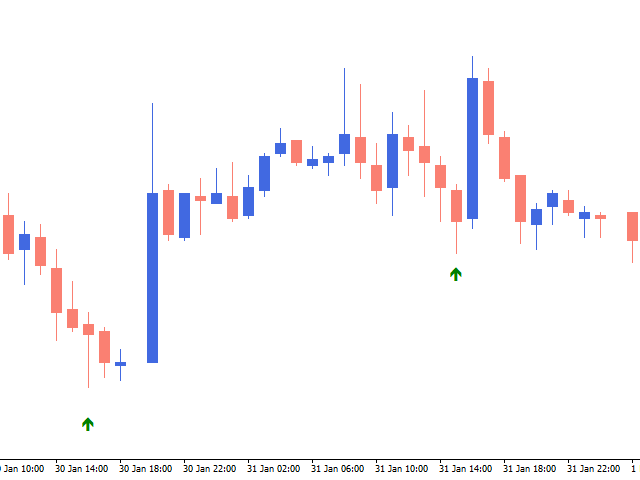 This allows to scalping with great precision. 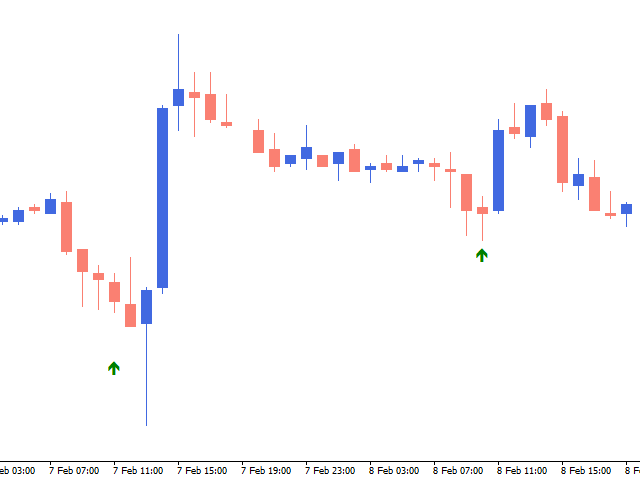 This indicator is simple, but he is not inferior to many expensive scalping indicators. The indicator not redraw! Minimum Bars - How many candles in a row of one direction to take for the signal. Alert - alert when a new signal appears.